Double room with en-suite bathroom with shower. 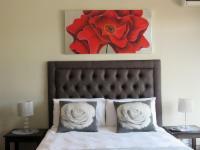 The room offers a balcony, flat screen TV, aircon,ceiling fan, lounge area and a queen bed. Double room with en-suite bathroom with bath. 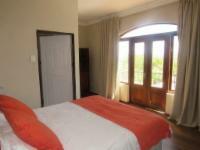 The room offers a balcony, flat screen TV, aircon,ceiling fan and a queen size bed. Double room with en-suite bathroom with shower. The room offers a flat screen TV, aircon and a queen size bed. 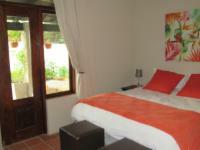 Double room with en-suite bathroom with shower. The room offers a flat screen TV, aircon a queen size bed. 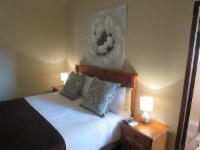 Double room with en-suite bathroom with shower. 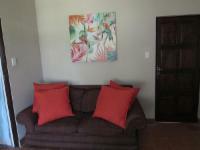 The room offers a balcony, flat screen TV, aircon,ceiling fan, lounge area and a queen size bed. Twin room with en-suite bathroom with shower. The room offers a flat screen TV, ceiling fan, lounge area and two single beds. Double room with en-suite bathroom with shower. The room offers an outside patio area, flat screen TV, ceiling fan, lounge area and a queen size bed. If cancelling 1 day before arrival, forfeit 1 nights accommodation total. If cancelling 999 days before arrival, forfeit 10% of the booking total. Please adhere to our standards and terms: Only bookable until 18.00 daily. Check-in before18.00 or make alternative arrangements with us: 012 9910445.